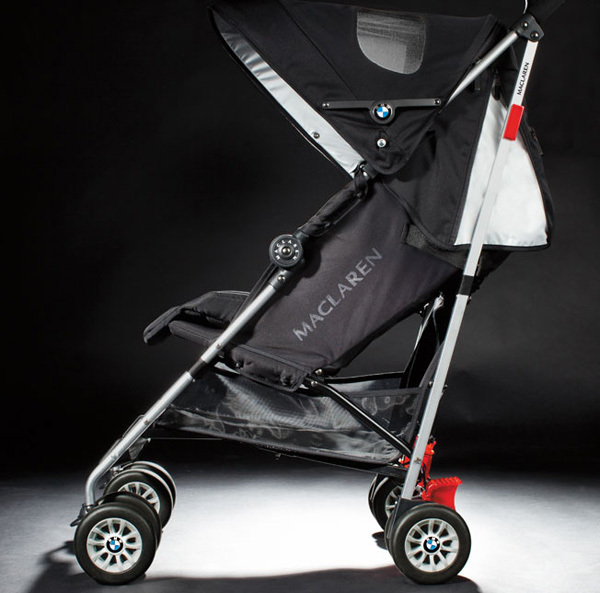 BMW teams with Maclaren to deliver their most stylish stroller ride yet! 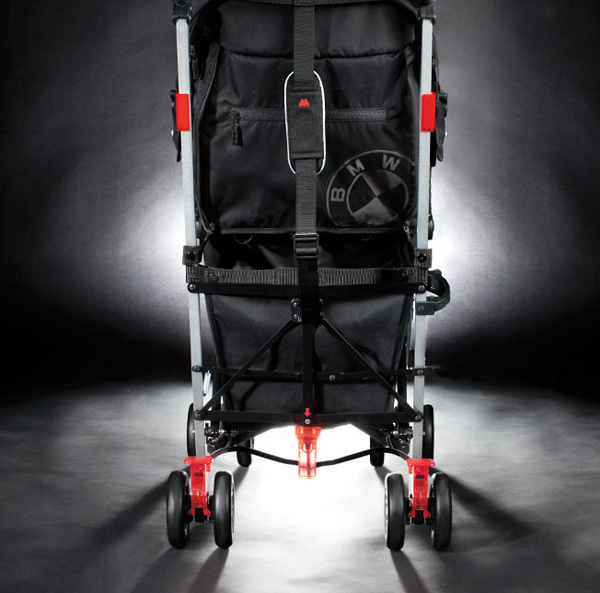 It would be silly to think of any other kind of stroller emerging when two super stylish companies collaborate on such a product. Prepare yourselves Babyologists, this is one luxury ride you’re going to want to have join your fleet. Like many parents, the BMW Maclaren stroller is probably the closest I’m going to get for a while to securing a prestigious set of wheels bearing a BMW logo. 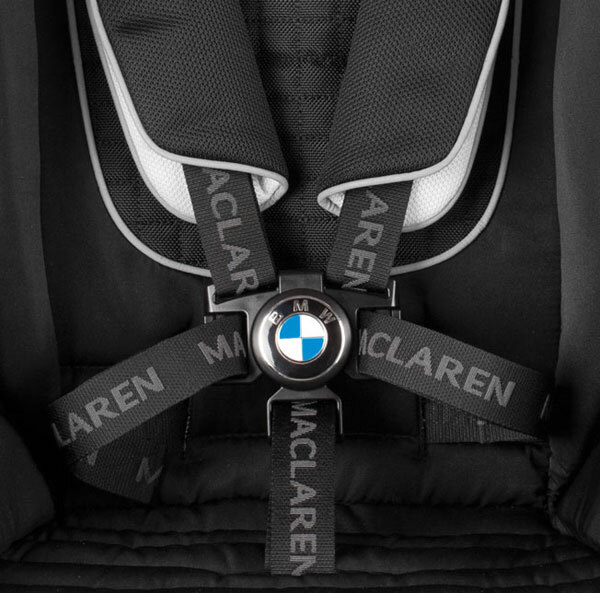 Maclaren are known worldwide for their quality lightweight strollers so there are no surprises that this BMW collaboration is sleek, lustrous and not without all the mod-cons you would expect. Available in black, silver or medieval blue there’s a colour to suit everyone. The BMW logo is subtle in placement, being cleverly showcased on the wheel hubs and harness buckle, and there are a load of optional extras available to purchase including branded cup holder, messenger bag, umbrella and park blanket, to name but a few. 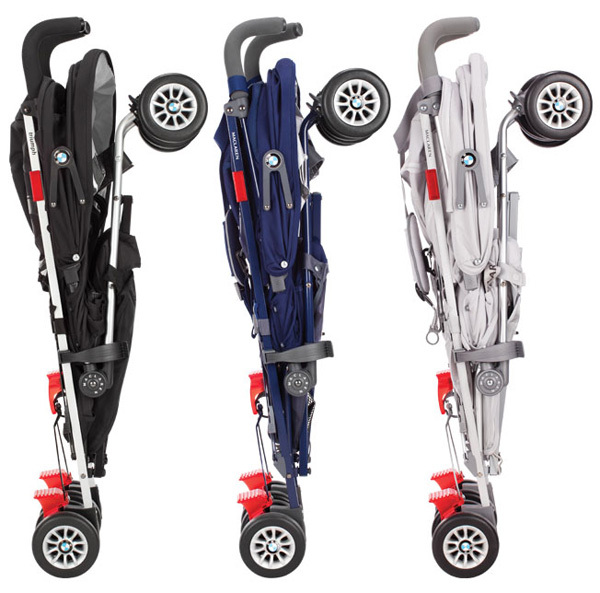 The BMW Maclaren stroller is priced US$385 and available from the US-based Maclaren store. Direct delivery to Australia is not available so a reshippper will be required.